FOR many, the Christchurch attack was a horrible act of terrorism that should never have happened, but for Mushtaq Hussain it was a reminder of his own lived experiences. Not only did Mushtaq know a father and son killed in the shooting, he has had vivid nightmares since the tragic event took place. Mushtaq, 30, is a bomb-blast survivor, has been shot three times, spent three days bobbing in the ocean as an asylum seeker, was imprisoned for three years, denied entry to Australia twice and was a famous musician and sound engineer in Pakistan. 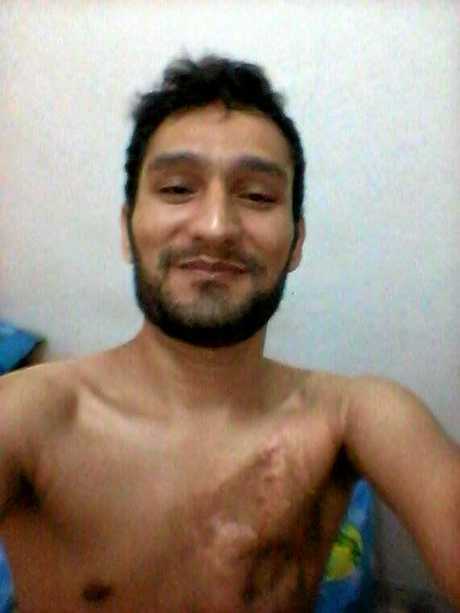 On December 5, 2008 Mushtaq's life changed after a trip to Peshawar ended in disaster. 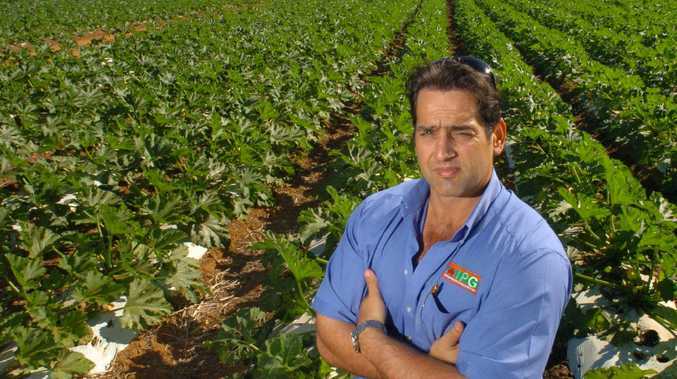 "At that time the situation was very bad," he said during a visit this week to his Bundaberg sponsor Fay Smith. "Sadly in the evening at 6 o'clock there was a major bomb blast. There was one car which was coming and they exploded in the middle of the people. "I was flying, and it hit my chest and it was totally on fire, like hell. I just saw there were pieces of hands and legs, so many people." He received burns to almost 80 per cent of his body, spent close to 18 months in hospital, lost most of the function in his left hand and has a long scar down his left leg. In 2010 Mushtaq was released from hospital and, even though restricted to a wheelchair, went straight back to creating music. But it wasn't long before Mushtaq again found himself in a hospital bed, this time in Karachi. "At a concert in 2011 I was singing on the stage and suddenly the electricity was off and fighting started," he said. Amongst the gunfire Mushtaq received two bullets in his back and a third grazed his left arm. "I told my brother I felt hot and then we found the blood," he said. Mushtaq said he had received a number of death threats but ignored them. "First thing, I am a Shia Muslim," he said. "The second thing, I am a musician. They say in Islam music is haram, you can't make any music, and they said to me 'this is a Muslim country, you can't publish'. "But still I do not hate anyone, they are mentally disturbed." To save further threats being carried out against him and his family, in 2013 Mushtaq decided to do "the wrong thing" and boarded a boat bound for Australia. He paid $10,000 USD to a smuggler who assured him safe passage to Christmas Island in a "luxury boat". Mushtaq was one of 45 people packed into a 10-person fishing boat. "When I left Indonesia to go to Australia, three days I was inside of the ocean," he said. "The boat was totally broken, we all were vomiting... our skin was broken because of the sun. "We were near to Christmas Island but near to death as well." Mushtaq was taken by the Australian Navy and given back to Indonesian police where he and others received no food, water and beatings for three days straight in a hotel room. "We were drinking from the toilet for water," he said. He was eventually transported to detention where he lived in appalling conditions for the next three years. Eventually Mushtaq was released to "open prison" where he could live out in the community on a curfew. During his three-year stint in open prison Mushtaq met Fay via Facebook. 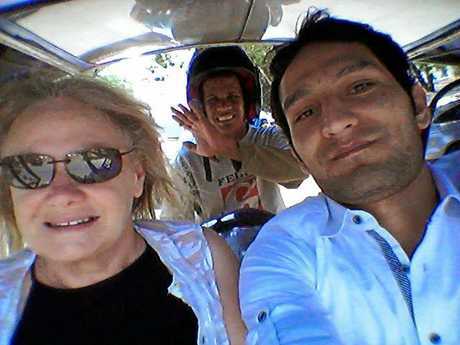 Fay, who has a long history in activism and refugee support, travelled to Indonesia to meet Mushtaq. Fay was working with lawyers to try and get Mushtaq a humanitarian visa. "I was under the impression if I could get him to Australia for treatment he could then claim asylum," she said. Fay took photos of Mushtaq's injuries and collected samples of his music to use in the lawyer's application. "He actually based the case on him being a musician and all about the tribal area he came from and why he was in such danger," she said. "He did a 45-page submition to Tony Abbott and Scott Morrison was the immigration minister. "His room was ready, we were all excited, and they just went, 'no'. "They spoke about the extensive surgery he would need, so rather than be humanitarian and compassionate they said he'd cost too much money." Luckily Mushtaq has many feathers in his cap, including story writer, music composer, designer and video editor, which all helped earn him a humanitarian visa in New Zealand. He will now study a bachelor's degree in film making in Auckland. "It was my mistake to choose the illegal way and I have told many others not to do it," he said.
" In my belief, no religion is higher than humanity." A short film is now being cut on Mushtaq's life.